The NRA comments on the Sandy Hook shooting, blaming video games and violent media on Fox News. Video games have been gaining immense popularity over the years as more people are playing them for longer periods of time. The most popular games are usually violent, first-person shooters. As a result, the amount of attention being paid to how they are affecting the population is increasing. More research into this area is also being sparked by recent school shootings. Violent video games were often cited as the cause for the Sandy Hook shooting in 2012, as the perpetrators were avid gamers. Whether or not violent games can have this kind of powerful sway on people has since been a hot topic of debate. In general, studies show that video games moderately increase aggression through several possible mechanisms. After playing violent video games, most players show altered brain activity that is correlated to aggression and a decrease in empathy. These effects are mostly shown in individuals who game obsessively and play violent games such as first-person shooters. Therefore, it is not that video games are bad in of themselves, but the content of the game and the intent of the player that dictate post-gaming reactions. The strength of the emotional dysregulation is correlated to how many enemies were killed in the game. Violent video games involve killing and inflicting damage on living things or objects as the main focus of the game. Call of Duty, God of War, and Grand Theft Auto are extremely popular game franchises that follow this pattern. Non-violent games have little to no effect at all on increasing aggression while the aforementioned games have been shown to increase aggression. These games focus on reinforcing violent scripts and attitudes, thus influencing the player to grow accustomed to bloodshed. These are the types of games where you have to kill people in order to win, and that is not a helpful lesson to be taught. Constantly engaging in violent behaviour, even in a virtual world, will still have an effect on the mindset of the player. The reactions of players during or after a session of gaming often resemble aggression. For example, fMRI scans show that while playing a first-person shooter, gamers have increased activity in the dorsal area of the anterior cingulate cortex and decreased activity in the rostral area. The cingulate cortex is very important in regulating emotions. This pattern of anterior cingulate cortex activation is similar to what is seen in fMRI scans of people thinking aggressive thoughts. Furthermore, it was proposed an aggression network consisting of the orbitofrontal cortex, the amygdala and the anterior cingulate cortex is active while gaming. The amygdala and orbitofrontal cortex show lower activation, which is thought to show a desensitization to violence and lowered emotional responses. Similar effects are shown from SPECT scans after violent games were played, suggesting that these effects linger after gameplay. However, it has been debated that these patterns of activation do not actually predict aggression outside of the game. It makes sense that aggression levels rise during gameplay when the player is being attacked and hunted down by enemies in the game, and this is just a normal reaction to stressful stimuli. Although some studies show the same cognitive and neurobiological effects after violent gaming sessions, there is not yet a completely definitive causal link shown between violent games and aggressive behaviour. Despite the fact that more people are playing violent games, crime rates are going down. Therefore, it may be that violent games increase aggressive thoughts and feelings, but do not directly influence aggressive behaviour. An indirect measure of how violent games are thought to cause aggression is that of empathy. Lowered empathic responses are linked to aggressive outbursts, because the person has less concern for the wellbeing of another person. This allows them to justify violence as a suitable method to achieve their goals, because the feelings of another person hold no significance to them. When looking at screenshots from Counterstrike (a violent game), gamers show higher activation in the left dorsolateral prefrontal cortex and temporal lobe. These regions can down-regulate the limbic system to numb emotional responses to negative stimuli. As a result, gamers are more habituated to scenes of violence. Empathy can also be lowered by amygdala deactivation, which has been shown to occur in gamers while playing violent games. The amygdala assigns positive or negative valence to certain stimuli and regulates fear responses when it is functioning normally. However, gamers have less activation in the amygdala, and therefore do not show a negative fear response when they kill people in games. This numbed response to violence has been compared to psychopathy, which is a condition that greatly increases that individual's likelihood of committing either a violent crime or murder. As graphics improve, video games are beginning to look more like high budget live-action movies than CGI. The more realistic they become, the more they become a close analogue to real life. As a result, the player may blur the two together and transfer over hostile attitudes learned from the game into the real world. More gruesome death animations desensitize players to real life violence, and human targets for killing further acclimate the player to the thought of hurting another person. Players show increased physiological arousal when exposed to realistic blood and screams in games compared to when the blood is green and there are no screams present. More realistic games activate the body's stress response, which may or may not lead to aggressive behaviour. Arousal may be increased because the enemies being killed in more realistic conditions seem much closer to real humans. This makes the player feel bad for killing them, even though they know they are not real and do not feel pain. Some elements of realism can also discourage aggressive behaviour. For example, many games have started to implement moral choice engines where the player is rewarded or penalized for engaging in certain behaviour. This is to make the player's actions have more weight so that their decisions matter, as they would in real life. In the Infamous series, players can follow a good or evil path. Players who choose the evil path by killing civilians and destroying the city are punished. This path causes all the citizens to insult the player and hurl rocks at them in disgust, letting them know what they have done is wrong. Players can also be punished for being cruel to others with bad endings (Bioshock), the death of party members (Dragon Age), game overs (Oddworld: Munch's Oddysee), and point reductions (Persona 4). For every action, games can teach you that there is always a consequence. Pathological gaming is not officially listed in the DSM-IV, but it very similar to a substance addiction or gambling addiction. It is marked by an obsessive impulse to play video games that strongly interferes with the well-being of the person and potentially other people as well. When gamers fall into this deep level of addiction, it is more common for them to lash out when they are separated from their games due to extreme withdrawal symptoms. Even non-violent games can cause violence if the level of gaming is at a pathological state, however this effect is only seen for males. This may be because females are less well-studied since finding females who play games on a regular basis is rare. Males are more likely to play violent games, engage in obsessive gaming habits, play more games in total per month, and show post-gaming aggressive behaviour. There is still much debate about why males in particular are so vulnerable to violent behaviour after gaming. It may be due to increased testosterone in males or because less female gamers are available for testing. The population of females who play video games is already quite small, and finding a subset of females who actually play violent games among that group is even smaller. On average, girls play more friendly and non-violent games than males do, which may explain why they do not show hostile reactions. Not all genres of video games elicit aggressive responses in players. Games without violent content such as platformers or puzzle games either lower aggression or have no effect on it. Playing something where the main goal is collecting items and traversing through a level to an end point instead of killing (eg. Super Mario 64) do not show the same types of lowered empathy or increased aggression seen in violent games. Furthermore, playing a more prosocial-oriented game also increases prosocial behaviour in consequent situations. 1. Chou, Y., Yang, B., Hsu, J., Wang, S., Lin, C., Huang, K., Chang, A.C., & Lee, S. (2012). Effects of video game playing on cerebral blood flow in young adults: A SPECT study. Psychiatry Research: Neuroimaging, 212, 65-72. 2. Mathiak, K., & Weber, R. (2006). Toward Brain Correlates of Natural Behavior: fMRI during Violent Video Games. Human Brain Mapping, 27, 948-956. 3. Lemmens, J. S., Valkenburg, P. M., & Peter, J. (2010). The Effects of Pathological Gaming on Aggressive Behavior. Youth Adolescence, 40, 38-47. 4. Montag, C., Weber, B., Trautner, P., Newport, B., Markett, S., Walter, N.T., Felten, A., & Reuter, M. (2012). Does excessive play of violent first-person-shooter-video-games dampen brain activity in response to emotional stimuli? Biological Psychology, 89, 107-111. 5. Greitemeyer, T., & Osswald, S. (2009). Prosocial video games reduce aggressive cognitions. Journal of Experimental Social Psychology, 45, 896-900. 6. Jeong, E.J., Biocca, F.A., & Bohil, C.J. (2012). Sensory realism and mediated aggression in video games. Computers in Human Behavior, 28, 1840-1848. 7. Schulzke, M. (2010). 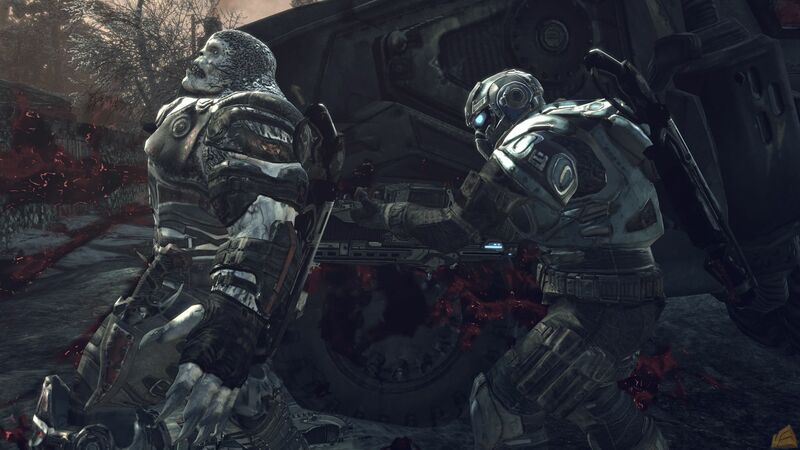 Defending the morality of violent video games. Ethics Information Technology, 12, 127-138. Wow this is really interesting. Have there been any imaging results that show an increase in activation in the aggression areas of the brain as these people are playing the video games? It'd be interesting to see if playing video games resulted in more aggression or whether aggressive people play these games more. Thanks! Most of the studies I've read show that the activation patterns during or after violent gameplay resemble those of people thinking aggressive thoughts…or psychopaths. Not the most charming comparison for gamers, but imaging studies do show an increase in activation for areas related to aggression and a decrease in empathy. I think it's a mix of naturally aggressive people and non-aggressive people playing violent games. I read that around 80% of games are violent so by default you can't help play violent games if you're a gamer for the most part. In my opinion, the ones with a predisposition to violence anyways are more likely to actually let games influence them though. Cool topic…are there any studies on where non-violent competitive game is related with aggression? Hmm, most of the non-violent games used in the studies I read were non-competitive, one player games. I recall reading about some MMOs encouraging social behaviour though. I just don't remember which ones, because those aren't technically competitive unless they have PvP. That would be interesting though, because even though it's non-violent, it might actually still increase aggression. Very interesting!! Are there studies linking video games to aggressive outbursts while not playing? Most studies can't directly link the two since they would have to either wait for an outburst or provoke it themselves, and the latter could potentially be skittering on the edges of what is ethical… The study I cited on Pathological Gaming actually follows gamers longitudinally and tracks their physical aggression levels. The more they play, the more violent outbursts they have. However, these are pathological gamers, so there is already something a bit "off" about them in the first place. This topic is beyond interesting! And you've done a good job at covering it. Maybe you can have a section just for listing examples of the most controversial violence-inducing games (Halo, GTA, Call of Duty.. ), and that way you can link parts of your text (which you've inserted some examples) to that section of your neurowiki. Love this topic! Also, excellent writing. I can tell you have edited it very meticulously. One suggestion I might make is to explore a larger variety of research studies, but I presume there aren't too many out there on this topic. The topic is extremely interesting and must have been very difficult to cover due to the lack of papers available on this topic but you have done an excellent job. You have written it very well. Great job! Interesting topic!! I'm wondering if you have any case studies from psychology with some detailed date, if you can include those as well that would be excellent.